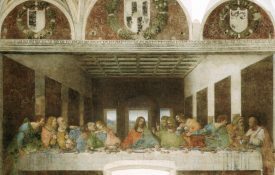 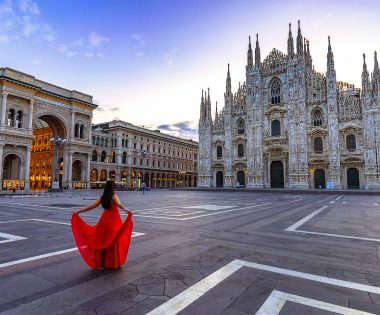 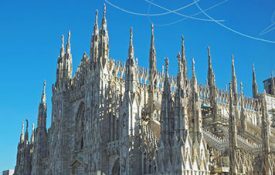 Milan has many must-sees, and during your stay in the city, you’ll see beautiful places like the glamorous Galleria Vittorio Emanuelle II, the magnificent Duomo, the famous Leonardo da Vinci’s Last Supper wall painting and much more. 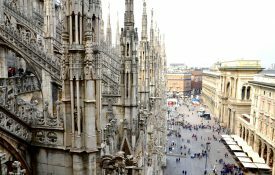 Choosing where to stay in Milan is as important as your itinerary. 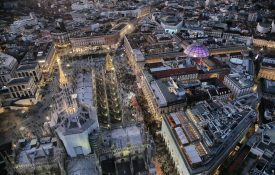 That’s why we’ve selected the neighborhoods to stay in, in the city. 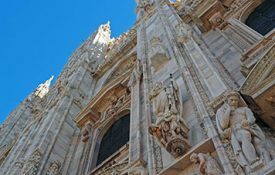 Each area is different and has something unique, so check out which one suits you better! 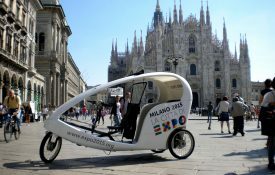 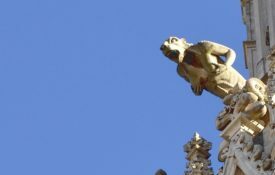 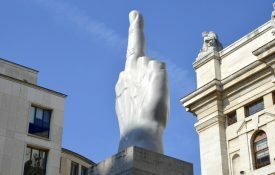 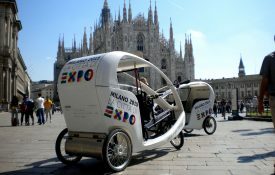 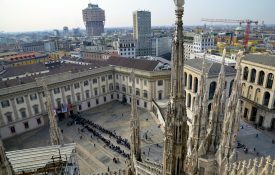 Don’t forget to check the top tourist attractions in Milan worth sightseeing. 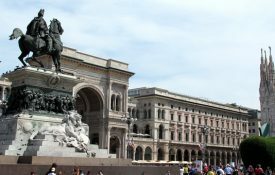 Located in the heart of Milan, the historic city center is where you’ll find most of the top tourist attractions. 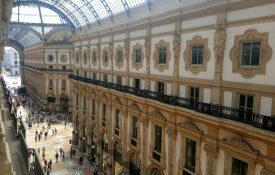 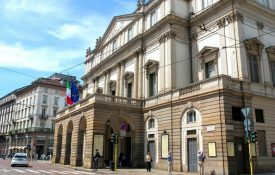 You’ll be at walking distance from the Duomo, La Scala Theater, the Palazzo Reale and can finish your day shopping in the Vittorio Emanuele II Gallery. 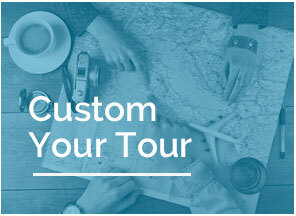 And that’s just to name a few of the attractions that will be close to you. 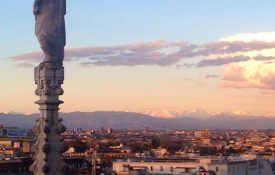 This is your place to stay in Milan if you’re planning that glamorous vacation. 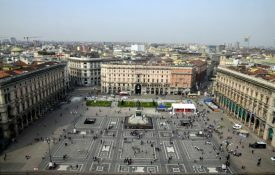 The Centro Storico is ideal for those who don’t want to worry about transportation but don’t mind spending more in hotels and restaurants. 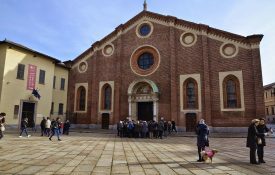 Brera is where Aty happens. 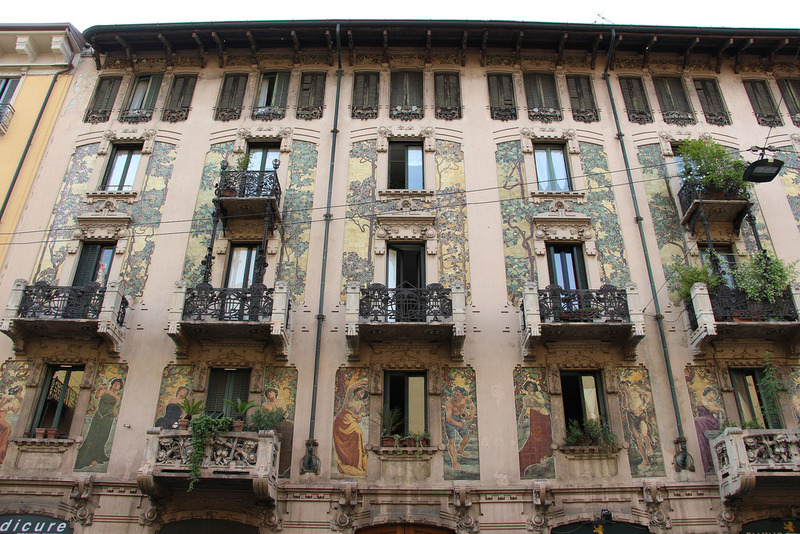 This picturesque neighborhood is very unique and it has been home to some of the most influential Italian painters, writers, and intellectuals. 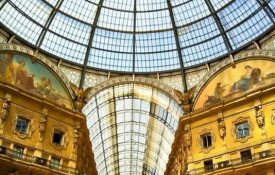 Brera was once a bohemian district and you can walk around in the pedestrian streets and admire the architecture, visit art galleries and shop at antique stores and designers ateliers. 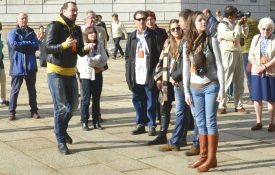 This neighborhood is close to the historic center, so is not the cheapest but has plenty of quaint restaurants and bars. 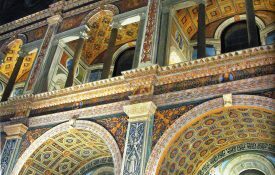 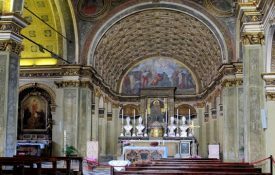 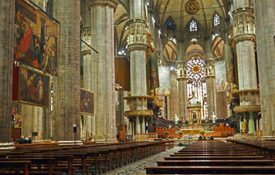 In Brera, you need to see San Marco Church, where Mozart performed back in 1770. 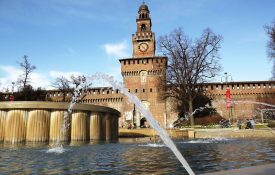 Milan has a few canals that make the city even more charming and they are located in the Navigli area. 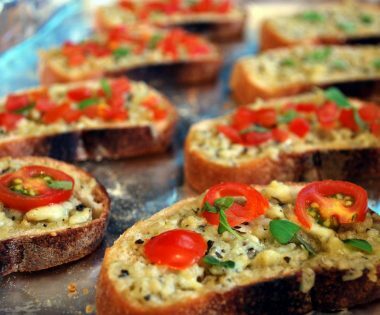 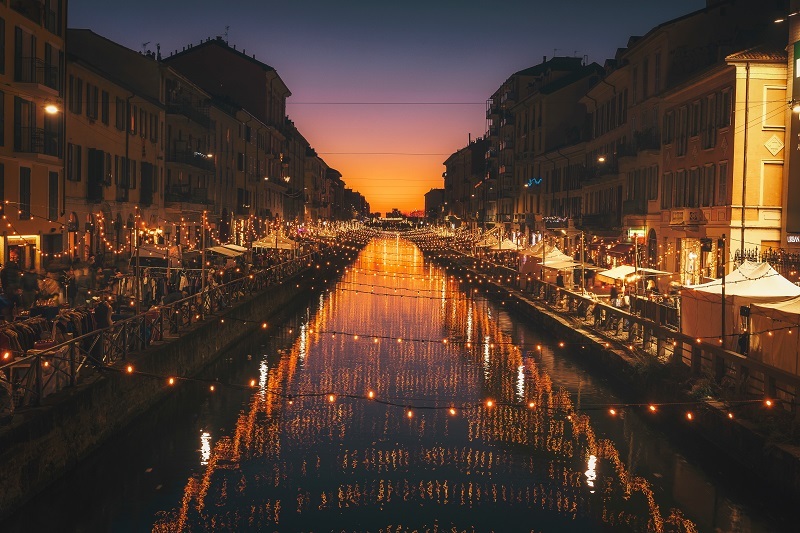 There you’ll find many bars alongside the Naviglio Grande canal and watch the sunset enjoying an aperitivo. 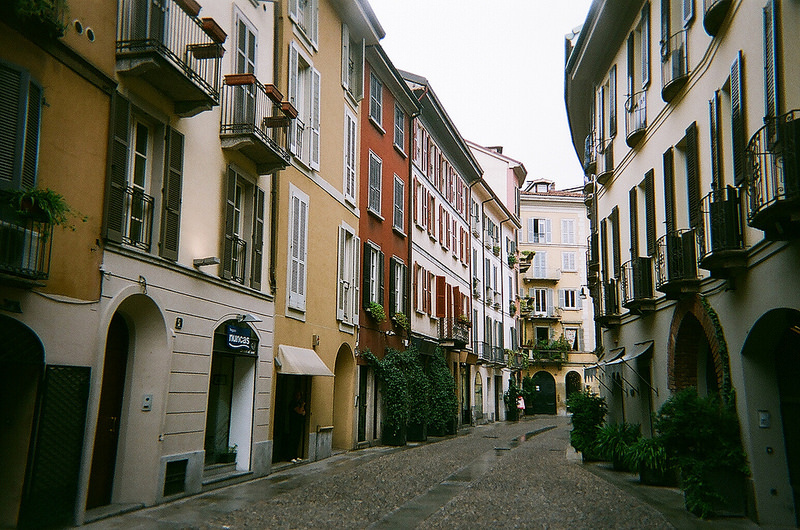 The Navigli area is also famous for its antique stores and vintage boutiques. 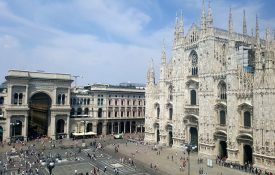 During the day you can explore the art galleries and design studios and at night go dancing in some cool Italian club. 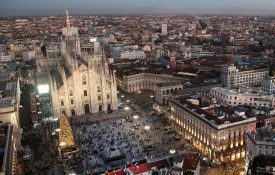 This is your place to stay if you don’t mind taking transportation to visit the main attractions of Milan or if you like the crowds and want to enjoy the nightlife. 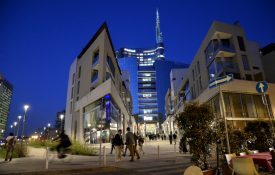 The new neighborhood of Milan, in Porta Nuova you can admire a mix of 19th-century constructions with newly built skyscrapers and modern architecture. 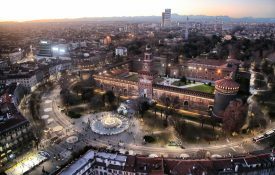 Known as the business district this place is perfect for those who are visiting the city to work but want some fun in between meetings. 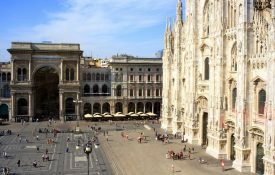 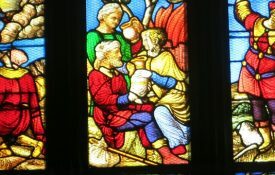 There are many restaurants, bars, clubs, and modern cafes. 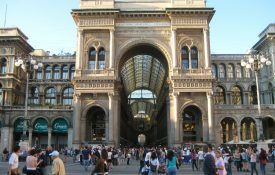 Porta Nuova is very central so it’s easy to go to the attractions of Milan and is perfect if you want to see a more modern city. 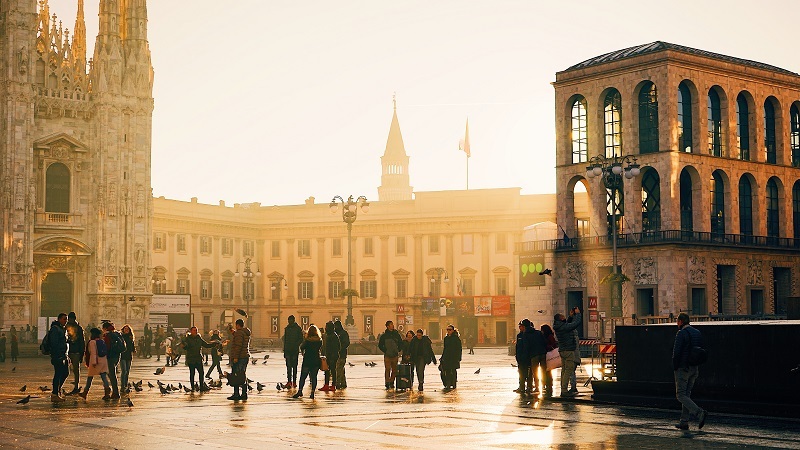 If you’re traveling on a budget, Porta Romana can be your choice. 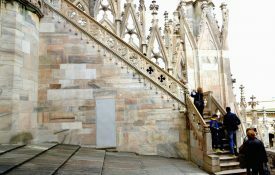 This neighborhood is close to the historic center – walking distance to the Duomo – less expensive, and very chill. 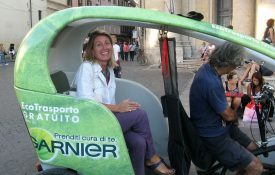 Since this is a residential area, this is where the locals hang out during the day in restaurants, cafés, and bars. 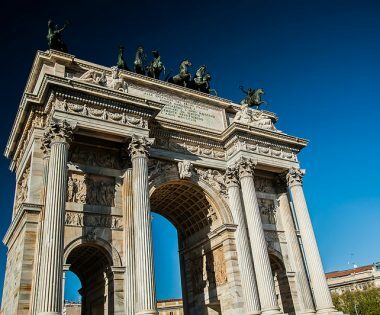 In Porta Romana, you can visit the famous and original Wes Anderson’s Bar Luce, read more about it in facts about Milan you should know. 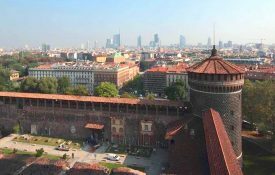 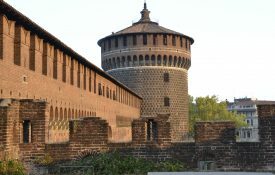 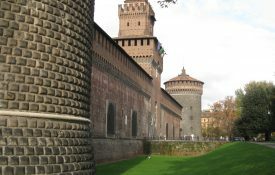 If you choose this area to stay in Milan you should visit the 16th-century Spanish walls in the main Piazzale. 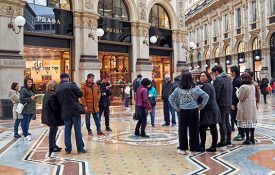 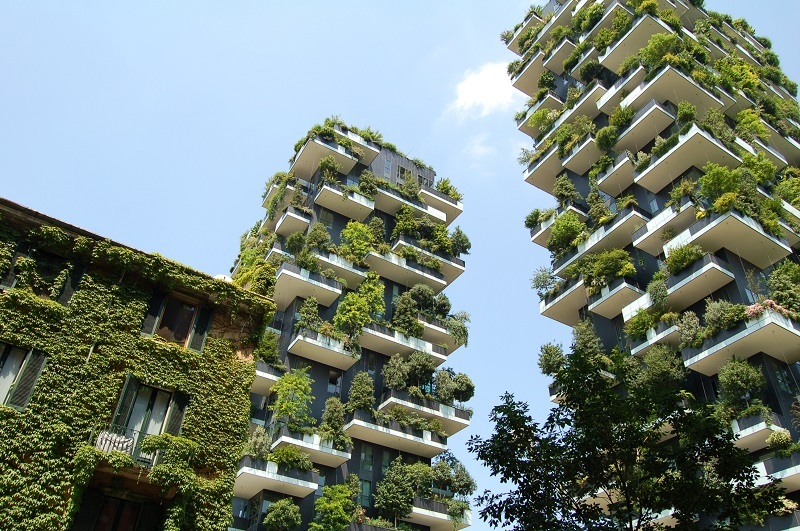 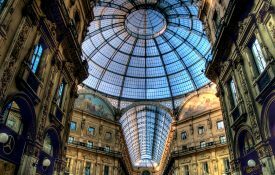 This district is very diverse and famous, and the best place to stay in Milan for shopping. 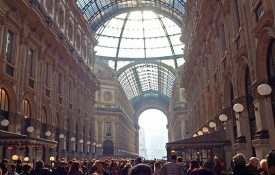 Here you’ll walk along Corso Buenos Aires, the longest shopping street in Milan (and in the country) where you can find affordable clothes. 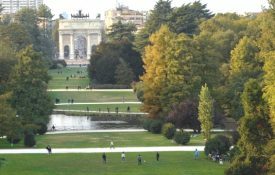 In this area, you can explore the beautiful park Giardini Pubblici Indro Montanelli, the Gallery of Modern Art and the famous PAC (Pavilion of Contemporary Art). 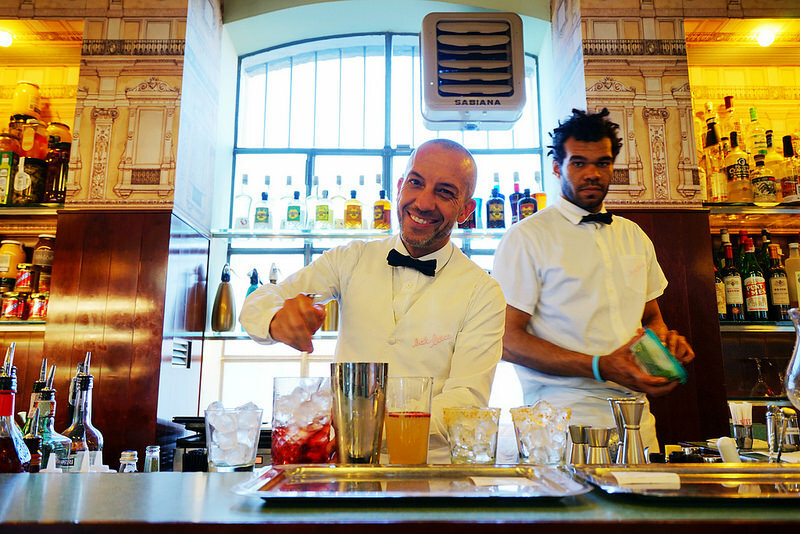 Porta Venezia is also home to fashionable bars and cafés where you can relax during the day. 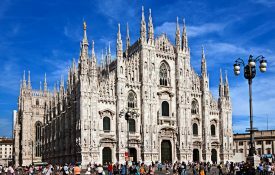 Want more tips about Milan? 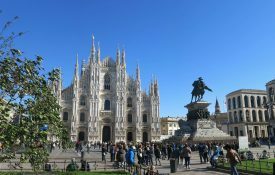 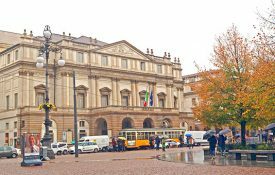 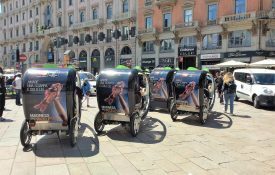 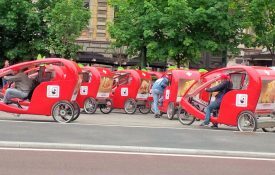 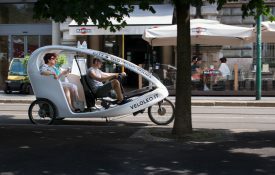 Now that you know where to stay in Milan and want to learn more about the city, read what to do in Milan and check out the things that will make your trip even more memorable. 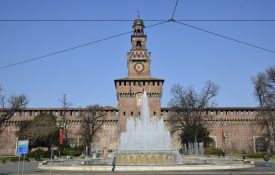 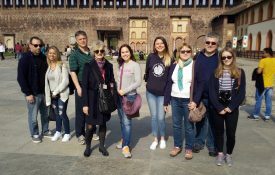 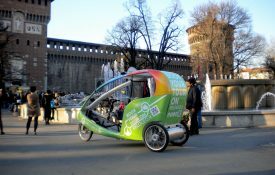 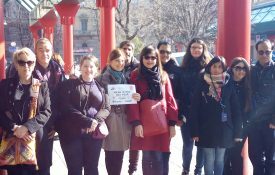 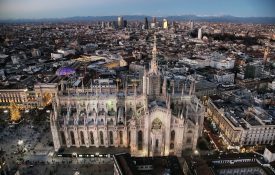 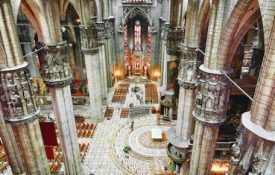 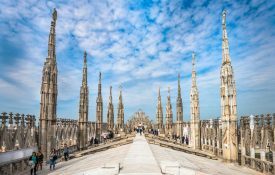 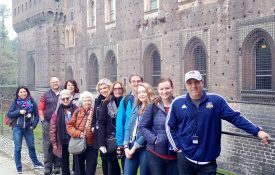 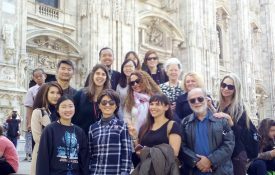 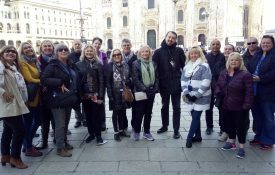 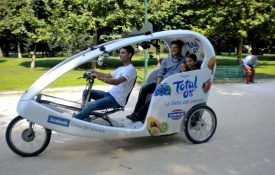 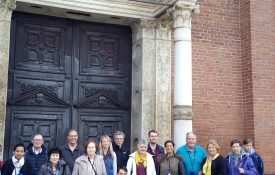 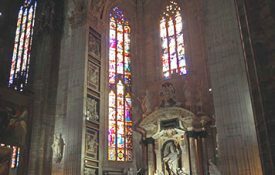 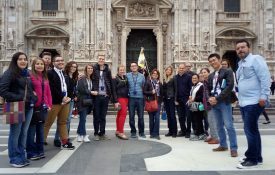 Another great way to discover the city is taking a tour where you can learn better about the monuments and Milan’s History.